The head of a major property management firm says the controversial proposal to scrap Section 21 eviction powers for landlords is actually “long overdue”. Consultations on the measure were announced yesterday and have been greeted with widespread scepticism and anger by trade bodies for letting agents and landlords. But David Alexander, joint managing director of Apropos by DJ Alexander - says the Scottish equivalent of S21 was scrapped and has led to the rental sector north of the border modernising and actually improving. Alexander says the scrapping of S21 for England and Wales is “welcome news and long overdue” and follows the path that already exists in Scotland. He says: “Scotland provides a model for the future direction that the private rented sector operates in England as it is already more regulated than the rest of the country. 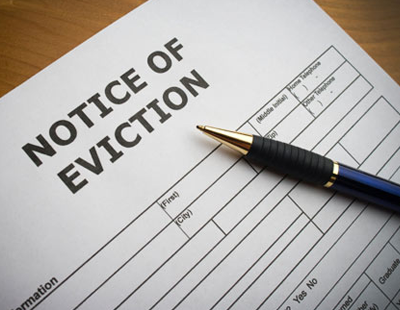 The no fault grounds for eviction notices no longer exist in Scotland so tenants can no longer be easily evicted from their homes. In Scotland landlords can no longer set short term tenancy agreements of six months and the Scottish government has already established indefinite tenancy agreements. “The recently approved Tenants Fees Bill in England and Wales which bans administration fees being charged to tenants has been law in Scotland since 2012. Despite some opposition to these changes at the time they have all been introduced and the PRS has not collapsed or disappeared. “It has had to adapt and change the way it operates but that, in my opinion, is a very good thing as it offers an opportunity to change the relationship between landlords and tenants. Alexander insists that laws governing the private rented sector have remained very landlord-centred and not kept pace with the growth of the rental tenure, which now includes 20 per cent of UK households. “When the 1988 Housing Act was introduced the private rented sector was quite small and landlord ownership was not as widespread as it is now. We now have a sector comprising 4.8m homes yet many of the owners are ‘accidental’ landlords having inherited properties or been unable to sell their own property and decided to rent it out instead” he says. “This, coupled with TV shows highlighting the get rich quick aspects of property development whose myths unscrupulous letting agents exploited for financial gain, has meant that many of these landlords have simply seen tenants as cash cows. “But the private rented sector is already changing to ensure that tenants are treated more fairly, more honestly and with due respect. But more important than changing the legislation is the need to change the mindset and relationship of so many landlords and agents which is too often divisive and confrontational. In Scotland if you want to sell your house you can do so and the tenants get roughly three months notice. For a tenant in that situation with children in a particular school they have to find a new let close to the school however due to a shortage of rental properties as a result of this legislation they are going to find it harder and most likely much more expensive to do so. I think a lot of tenants who believe the spin that they now have security of tenancy are being misled. At a time we are bringing in no fault divorces, we are getting rid of no fault route for ending tenancies. Indeed, S21 was often chosen for ease of use. It can be difficult to prove anti-social or un-neighbourly behaviour for example. We will have to make far more effort to be able to prove causes for eviction under S8. Something that Shelter seems to lose sight of is that no landlord or agent wants to evict a tenant who could realistically be kept on, due to the cost of bridging the gap between old tenant and new ... re-marketing, repairs, new contracts, court costs, void period etc. The implication that we enjoy messing with people's lives is slanderous in my view. I have never experienced 'revenge eviction' either but perhaps because where I work is rural, there are voids between tenants, it would be illogical to behave that way .... perhaps in cities the voids are very short and it might happen but I have never seen it. I'd suggest that Shelter's objectives are not what they state they are. Whilst landlords, tenants and pretty much every sector professional states that people are losing their homes due to S24, Shelter makes no reference to it. Odd isn't it? Of course Shelter have been getting financed by L&G, one of the big players in the BTR market who will do very nicely from reduced competition and higher rents. From observations I would not take anything the Scottish government does as a benchmark for much. It is not an effective or efficient organisation. Just profligate and hectoring. Property rights go back to Magna Carta. The government fails to do much about rogue landlords or landlords letting unsafe properties or using strong arm methods. So why not bash us all ? A vote winner given that there are many more renters than landlords.All with votes. Because all governments have failed in social housing and anything associated we good landlords are going to be victimised by this government. I totally agree with the view that the industry is changing and becoming more client focused. I do not object to these changes as long as they are balanced. I listened to the reporting of this subject on BBC and the presenter said that the legislation was to stop tenants losing their home for no reason. I believe this is where the problem lies. We have been using s21 notices for rent arrears when we believe there is little chance of recovering rent arrears and because it was also a faster route. The problem with this is that there is no factual record of the scale of the rent arrears problem as there is nothing on a s21 to distinguish why we are asking tenants to leave and, therefore, providing the ammunition for people like shelter to beat us with. I would like to propose that we all support this new change in the law but would ask for the following. 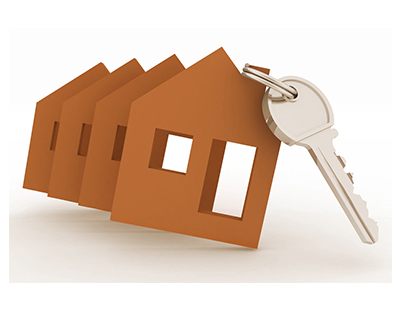 A designated housing court to hear possession claims within 2 weeks at a nominal cost to the landlord. It is no good saying we can recover cost from the tenant when in most cases where tenants are on low income we are not able to recover cost. A simpler document for possession that can be completed by Landlord or Agent and the automatic right for both the Landlord or Agent to attend court without a solicitor where the criteria for possession has been met. We should not pretend that tenants will not take advantage of any loopholes around this legislation. Also, a code of conduct for local authorities in how they deal with the potential homeless and what advise they give and a clear undertaking that they will accept responsibility for re-housing the tenant from whenever possession is given without the need for bailiffs. A guarantee that any benefit claimed by the tenant that is subsequently found to of been claimed either in error or fraudulently can not be recovered from the person to whom it is paid(either landlord or agent) unless it can be proved the the landlord or agent was complicit and clearly was aware of the wrongdoing. the grounds for s 8 should also be reviewed to change the 2 months arrears to lesser terms. We landlords are not financially deep pockets and i often came across tenants and students with money but refused to pay rent and used it on eating out and holidays. There is too much talk of a tenant's home. Yes! Its their home whilst they pay rent in a timely manner and don't abuse the premises by kicking in doors because they stupidly forgot to take their keys with them. Then its up to the land lord to secure the safety of the kicked in front door. When it comes to court for criminal damage the fine was ridiculously low, a mere £20 for the fine and no further action to be taken! Repair costs for the door £220. how does this in anyway discourage the tenant from committing more criminal damage in the future! The law and the punishments are toothless. that is why they are so regularly flouted. i just wonder how efficient this david alexander is as a manager if he thinks that landlords in the private rented sector seek confrontation with their tenants. they most certainly do not! Who needs the aggravation! The confrontation comes when the tenant abuses the landlord by stealing his rent from him - for any other theft, the thief would br facing a criminal record and imprisonment, why aren't these delinquent tenants? Or the tenant abuses the premises of the property and even the other tenants living at the property! That is when there is confrontation, and rightly so! Would shop keepers be criticised for arresting a thief that they found on their premises? They would not, they can even hire security staff to protect their goods and arrest the thieves. Yet landlords must take all the abuse the thieving tenants can throw at them, from rent theft, to abusing other tenants at the property, to criminal damage and any other form of anti-social behaviour, for which he is held responsible, legally! And the landlord can't even gain access to his property without sending written notice 48 hours in advance. he is obliged to take the costly and now increasingly extended route through the courts, when the law ought to be changed to have the tenant in arrears arrested and slung out on his ear and all his worldly goods confiscated in compensation for his rent arrears! That is how the laws ought to be changed, not making an already arduous and costly process for the landlords even more so! Just a quick reply to the notion of a housing court. I will 100% guarantee it will be full of no win no fee cases on behalf of tenants suing landlords for “poor property standards “. Not for possession cases. Also take into consideration that the last thing the courts & government want is quickly possession cases with nowhere to rehouse tenants. James Fraser: which person are you calling a bozo - David Alexander by any chance? Yes and 40 years in the game. Previously FNAEA & RICS. Owen over 100 units, manage over 1000. So what’s your experience? How many times have you attended Court. Let me guess. Not even 1/2 my experience. So go and live it n the real world then come back to me. JF get real, listern to what professional B2L LLs are saying. You chum clearly are clueless. Sec21 worked, it is a method of removing the lowlife tenant from a property they do not own because of a number of factors of which one is enough to throw the lowlife out, antisocial no respect for neighbours or the property/drug use. None payer of rent even though they have the means. We are not a charity. We have to run our properties as a business. Do you clueless ones really think we are going to evict somebody who pays their rent, respects their neighbours and respects Our property? Yes sir Our property,, purchased with our money, managed by us in our time, 24/7, yes that means bank holiday even christmas day, owing B2L properties means you have to work 365 days of the year, no time off. We like it that way, we dont complain. We complain and then laugh at clueless councils, government jobs worth not earning their hugh high salaries we provide, and persons like you who have no idea what so ever about being a professional LL. Please prove me wrong? Steve - not sure I understand your dig 'get real' to JF, - seems to me everybody's on the same side here ? Sorry if wrong thought JF was having a pop at us professional and care alot LLs? D J Alexander aren’t Shelter plants but they are very into free publicity. They used to have a rents going through the roof story in the Scotsman every quarter even though rents weren’t even rising by inflation. It was just free publicity for them. I think we can all state that D J Alexander is a clueless w####r! We really DON'T need idiots like him having a platform to espouse his ridiculous opinions. If he is supposed to be knowledgeable about all things PRS then we certainly DON'T need any enemies!! How he has been in business this long with such ridiculous ideas beats me. Does he ever engage with his LL clients!!?? I'm head of lettings in my business. Does that make me a chief? Most LL's are happy to accept lower than market rent from good tenants. If only LL's could get the taxpayer to subsidise their B2L like Mp's can. Clearly the head of this major property firm has not worked on the coal face for some time. He has no idea how much tenants abuse the system to avoid paying the rent. Section 21 has been used more in recent years to evict bad tenants as a quicker solution than section 8. Any landlord or letting agent will tell you that a section 8 will get thrown out by the judge just because some toe rag promises to pay £50! It is essential to keep the section 21 option open as I don't believe for one minute that the process will be speeded up. Just like their claim of bringing down thousands of rogue landlords. I doubt that is even true. Majority of landlord are good and wanted to get it right. Only a handful of minority landlords perhaps fall foul of the law whether intentionally or not.